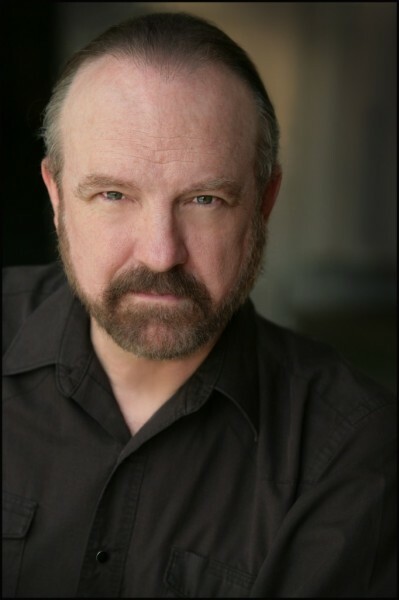 If you’re a fan of Supernatural, Deadwood or Justified, you are more than familiar with the acting prowess of Jim Beaver. If not? You probably still are. In fact, if you’ve watched episodic television at all in the last 35 years, you have almost certainly seen a Jim Beaver performance. A veteran of stage and screen, Beaver’s acting work is widely known. What you may not know is that in addition to being an accomplished actor, Beaver’s career has included gigs as a screenwriter, author, director, film historian, newscaster, stuntman, critic, and, in a job that has once again found its way to the forefront, an award-winning playwright. Beaver will be bringing his play Verdigris back to the Los Angeles stage in March of 2015. A Kickstarter campaign to fund the pre-production expenses will run through November 25. 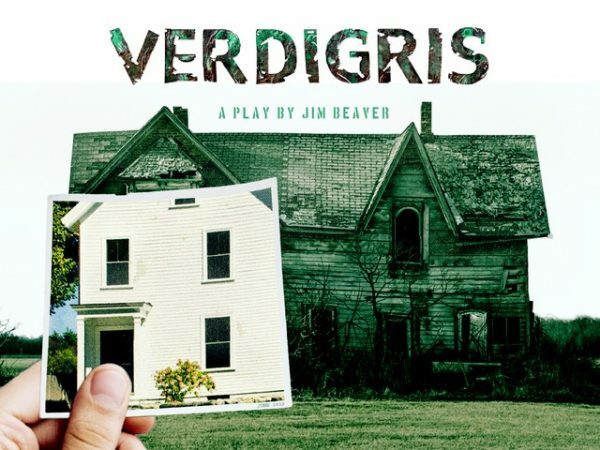 Verdigris, a semi-autobiographical play structured around the experiences Beaver had during a summer job caring for a paraplegic woman, was first staged as a workshop production by Los Angeles’ Theatre West, in April 1985, with a limited run of nine performances. Though it was minimally publicized, the play gathered considerable attention and acclaim, winning five Los Angeles Dramalogue Critics Awards (including the Playwriting Award) and a Los Angeles Weekly Award. That same year, the play would go on to be performed at the Berkshire Theatre Festival in Stockbridge, Massachusetts, with Oscar and Emmy winner Maureen Stapleton in the leading role. Verdigris is the story of Margaret Fielding, a fiery woman whose entire adult life has been spent in a wheelchair, and the family and friends who care for and are sometimes controlled by her. In Beaver’s words, “She’s mean and cranky and funny and touching and has a great heart beneath her selfish hide. She juggles the lives of everyone around her like a circus act.” In addition to being the production’s playwright, Beaver will also perform in the role of Jockey Farrell, Margaret’s brother, a burnt-­out alcoholic with a good heart but no sense of self-­worth. We asked Jim about his life in the theater, some of the less typical roles he has played, and what his daughter Maddie thinks of her dad’s career. Sweatpants & Coffee: Verdigris is described as “semi-autobiographical”. Has the woman who inspired the character of Margaret Fielding ever seen the play? Jim Beaver: No, she never saw it. I told her once I planned to write a play suggested by her circumstances, but it wasn’t accomplished in her lifetime. My guess is that she would have been rather amused and pleased with it, as she had a very clear idea who she was and how she was perceived, and she had a great sense of humor about herself. One never knows for sure, but that’s my guess. S&C: You first produced Verdigris in 1985. Do you think there is a difference between theater audiences then and their multi-media saturated 2014 counterparts? JB: Yes, I think there’s some difference. There is, of course, the relatively new phenomenon of the audience that thinks it’s at home watching TV and feels free to chat, text, or talk back to the actors, oblivious to the comfort and pleasure of those around them and to the distraction inflicted on actors doing their work. Also, there is among particularly the younger theatre-goers an impatience with extensive examination of the thoughts and ideas in a play, as opposed to the quick-cut, rapid-fire changes which movies now offer as sop to, and perhaps cause of, the attention-deficient. There’s less patience with talk, even brilliant, scintillating talk, and I think this must be a result of the saturation of quick-moving, shallow-depth material of the sort that fills video games and action movies. The commercialization of theatre, with so many Disney-esque spectaculars, has eliminated much of the audience for thoughtful or genuinely witty material on Broadway, and it is much harder for a serious drama to find an audience, or for an audience to find the drama. It ain’t all bad, but it ain’t better, either. S&C: In your bio, you cite several beloved “honorable but crusty” roles you are well known for. Is there a role in your theater past that is the total opposite of those? Is there a role you would love to play that would be? JB: I’ve played many, many roles in theatre that are quite different from the gruff but lovable types I’ve come to be known for. One of my favorite roles was as Lachie, the brash and obnoxious, but ultimately forlorn Scots soldier in The Hasty Heart. I would love to play Shakespeare’s Richard III, hardly an honorable but crusty fellow. And I’ve often joked that I’d like to play Frankenfurter in The Rocky Horror Picture Show. Except I’m not joking. Never gonna happen, but I’d do it in a heartbeat. S&C: You speak often of your beloved daughter. Has she seen much of your acting work? Will she be seeing Verdigris, and if so, what do you hope she (or anyone) takes away from it? JB: My daughter Maddie hasn’t expressed a great deal of interest in my acting work. I know she’s seen a number of Supernatural episodes, and maybe one or two examples of other work. But she seems less interested in my work itself than in the fact that I act as an occupation. I don’t think she’s given much attention to similarities or differences in me and my characters. Certainly she doesn’t talk to me about my work. I do want her to see Verdigris, and I hope she takes from it an increased awareness of the need for kindness, self-respect, and honor in one’s life, some of the things I endeavor to advocate in the play. And I hope she laughs a lot. It’s a comedy, after all.